Funko Pop! figurer er de ultimative licenserede popkultur samleobjekter. Funko er bedst kendt for at producere vinyl figurer og bobbleheads. Funko Pop! har licens til figurer som Marvel, DC Comics, WWE, Lucasfilm, Sony Pictures, Paramount Pictures, Nickelodeon, DreamWorks, Hasbro, CBS, Fox, Warner Bros., Disney, HBO, Peanuts Worldwide, BBC, MLB, NFL, Ubisoft, NBCUniversal, Cartoon Network, Netflix, Mattel, 2K Games, Bethesda Games, Pokémon Company, Sega, Activision, Capcom, Jim Henson Company og mange flere. James Gordon – Gotham – Funko Pop! 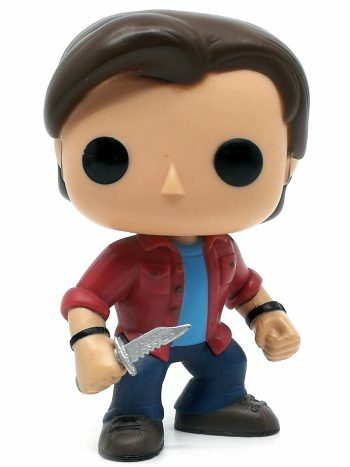 Sam – Supernatural – Funko Pop!